I will never forget that first "big" race. I got serious about running in the summer of 2005. Prior to that, I had done a few 5K's with the husband, but never took the sport of running very seriously. I was not born with speed genes. I hated running in grade school, and REALLY hated it in high school. It seems like all the physical ed teachers put the fast runners on very prestigious pedestals, and made us slower folk feel inferior. I was envious of the ones who could effortlessly sprint right out of the starter block. I could not get my legs to move as fast as my mind, and always hated that feeling of not being "good enough" as a result. I am also tall, and have long legs. It takes twice as much effort to move them. So, when the opportunity to "run" a 5K ever presented itself, I did so with only half a heart. I figured since I was a slow runner, there wasn't much need to even try to "race." Of course, without training (or even running on my own), I was setting myself up for failure on race day. I would inevitably start out too fast, and be almost fainting by the end of the first mile...which would usually guarantee I'd be walking by the third mile. Finally, in 2005, I set a goal to run a 5K. Run, not walk. I knew I could get to one mile, so I forced myself to consciously run that first mile slower than normal, and eventually I was able to get to 2 miles. Not too long after, I was able to go 3 miles without needing to walk. I registered for a race, and crossed the finish line in just under 30 minutes....which actually was a faster pace than I had trained at. For the next 3 years, I grew to like racing! I knew I would never finish in first place, but I was running! And, best of all, I slowly discovered that a lot of others were racing and not caring how they finished...so long as they finished. A friend asked me if I was interested in training for a half marathon with her. Immediately, I did the math. I was not ready for the challenge of running farther than those 3 miles. My comfort zone would majorly get tested if I tried to run 10 miles farther. No thanks. 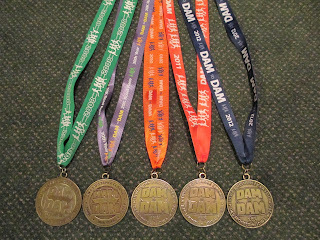 Well, my friend spent the entire summer of 2007 training for this half marathon. She got up early and ran 4 or 5 days a week. She ran hills. 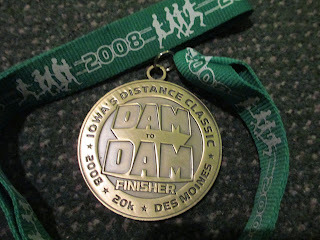 She ran long distances in the Iowa heat. Meanwhile, I was content running my "usual" 3 mile course every few days (at least that is what I told myself). 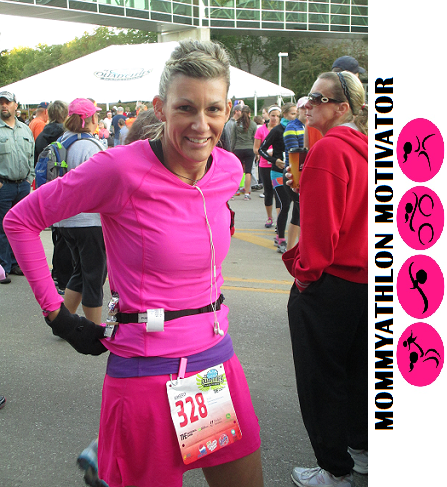 As summer ended, and the date of her half marathon approached, I couldn't help feel envious. Her race came, and she crossed the finish line. I was proud of her, but also jealous. Finally, I was able to admit that I had let a fantastic opportunity slip by. I continued running through the winter. 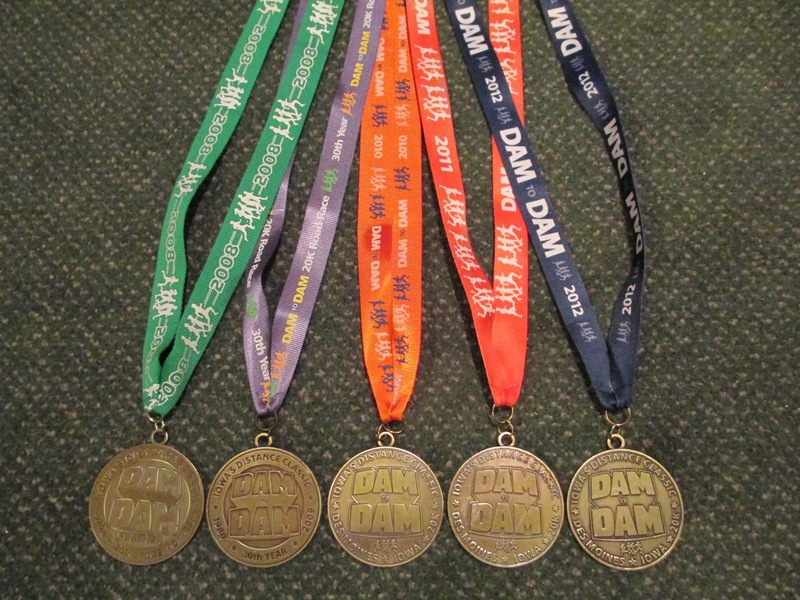 I heard about a race, Dam-to-Dam. It was a 20K (12.4 miles), and involved running from a dam on the outskirts of the city of Johnston and ended at the dam in downtown Des Moines. Ok. This was it, my chance to redeem myself. My gut instinct told me I had no excuse this time. I had 3 months to train for it. I could do it. I needed to do it. So I trained. I ran. I ran several times each week, slowly adding a mile at a time. The day I ran my 10-mile training run was amazing. I had my official first "dose" of runner's high...and I started craving that fix more and more. A couple weeks later, it was race day. It was May 31, 2008. And I was ready. It was warm, and humid. I had never run a race of this distance, so I was scared of going out too fast. I was afraid of muscle cramps. I was worried about walking, or not finishing. But then I remembered all the training I had done. I could do this. I was going to do this! The miles seemed to go slow for the first half of the race. By the time I crossed the halfway mark, the crowd had thinned out some. I passed the 7-mile mark and still felt great. The 8-mile mark was approaching, and I could see a rather long hill coming up. I just kept going, eventually walking for a bit as the hill wore on. After the 9th mile, the course was pretty flat but my body was starting to slow down some. I could feel a strange something going on in one of my legs. One of my toes felt like it was getting pinched. I walked a couple times more, then I saw the 11-mile mark. Suddenly, my mind almost went blank trying to remember the previous miles...had I really gone this far? Seriously? Almost immediately, my long legs started moving a little faster. Oh my gosh, I was almost there! I could feel my body moving even faster. As I turned the corner and heard the crowd cheering, I could feel the sting of tears in my eyes. With what felt like my last ounce of energy, I sprinted to the finish line. I had done it! As I worked my way through the chute, I could feel the tears streaming down my face. I had done it! When they put the finisher's medal around my neck, it was all I could do to keep my composure. A day on the "inside"
It's a very cold, chilly day in Iowa. And we have at least an inch of solid ice everywhere. I am not known for my grace or balance skills, so I am electing to keep the workout inside today. When I became a serious runner in 2005, I ran almost exclusively on the treadmill. I so loved that mechanical piece of art! 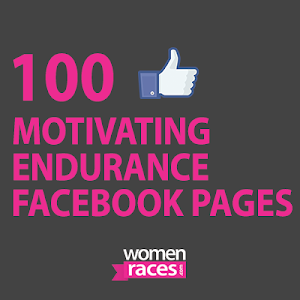 It helped me keep a consistent pace, and always showed me exactly how far I ran each time I put on my running shoes. After a year of bonding with this running companion, I ventured outside. Running outside was a very different scene. I no longer had the privacy of running in the closed confines of my house. Outside, I had to be a little more aware of what I was wearing (I do have a small thing with vanity), and if I tripped or stumbled, it would no longer be a safe-kept secret. Essentially, I was making myself vulnerable. Not just to the weather or rough terrain, but also to public scrutiny. If I was going to call myself a "runner," I had to look the part. What I discovered, is that running outside was liberating! The fresh air! The sights and sounds of civilization! The wonderful feeling of air cooling my body as I raced through the city streets! I began to fall in love with running all over again. When the weather turned cooler in the late fall, I decided it was time to reunite with my "first" running pal, the treadmill. I set the incline on 2 (just like I had always done before), set the speed to my "usual" 9-minute pace, and got moving. UGH! It took all of about 5 minutes to realize something had changed. I felt hot. The treadmill seemed real loud, I could barely hear the music on my Ipod. Suddenly, I had this fear of stubbing my toes, or tripping and face-planting (and then, getting thrown across the room). And, I just couldn't get the speed to work. It felt too slow, so I upped the setting...and then found myself gasping for air because it was too fast. It felt like this old, trusty friend had betrayed me. After 20 minutes, I gave up,turned the treadmill off and walked away. Not every run has to be a great run, and I accepted that this was one of those "bad" runs. A couple days later, I was eager to get back on the mill and knock out some miles. Thinking I hadn't been dressed properly, I wore a "better" tank top and made sure to double-knot my shoes. And I had a water bottle nearby. I was ready. UGH! It happened again. Frustration. Fear. Impatience. Anger. I attempted a few more times to run on the "dreadmill," but every time was just as bad (if not worse) than that first time back on it. Not wanting to take the winter off from running (in Iowa, that could be several months), I came to the conclusion I would have to do some running outside to at least maintain my level. The first few times outside were a tad bit chilly. It felt so good to be back outside, I didn't mind the numbness in my fingers or toes (which always disappeared after the first 10 minutes anyways). And the beauty of the sunshine sparkling on the snow was breathtaking. I didn't run far (usually only 2-3 miles), and I didn't run daily (maybe 2-3 times each week), but I felt great! So....fast-forward to 2013, and here I am today. Inside. But I'm not in a panic about facing "duh'mill" (my new name for the inside running apparatus). I have learned to be a "good" runner/athlete/individual requires an open mind. I do a lot more strength training now days, and that happens inside. I do yoga, and I do that inside, too (my neighbors are probably thankful for that). And, I am starting to get back on "duh'mill" to do some speed training......occasionally. One of the most satisfying lessons learned in my almost 8 years of running is that it is NOT all about me. Granted, the PR's are exciting, and the hardware makes me smile...but watching OTHERS learning to love it (almost) as much as I do is euphoric. This group of gals gathered with me in the picture are troopers. We all got together and ran recently. We live in Iowa. And it is January. The white stuff you see on the ground and in the air is snow. It also was a mere 12 degrees on this particular day. Oh, and the wind was blowing, so the wind-chill temps were probably closer to zero degrees. None of us really wanted to be there in those less-than-desirable conditions, but we were. And we ran. Not as far as we'd planned to go, but we ran none the less. Some of these gals are "established" runners. Some are "returning" runners, hoping to get back into the sport they really enjoyed a few years ago. 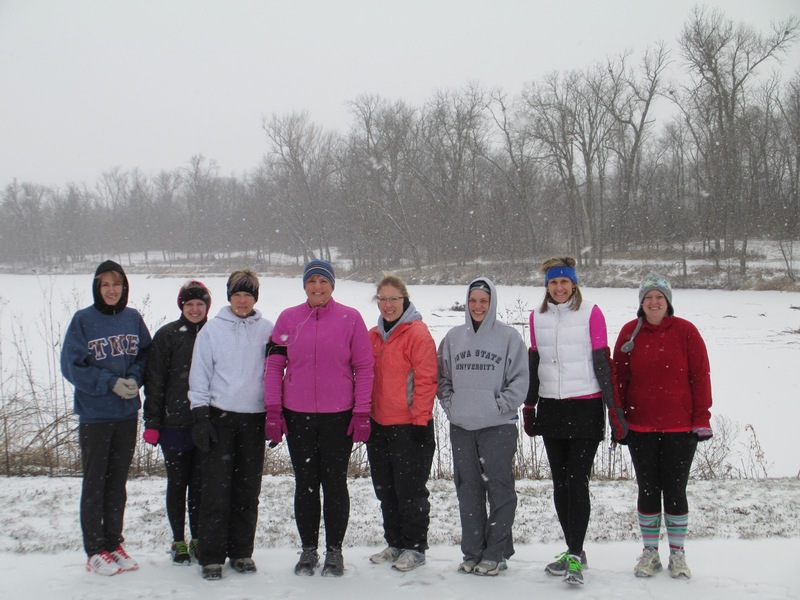 Some are "newbies," eager to start 2013 with a fitness plan. ALL of us are runners, though. And on that cold, miserable January afternoon all of us crossed the finish line. Well, here goes. My new adventure. My new Journey. 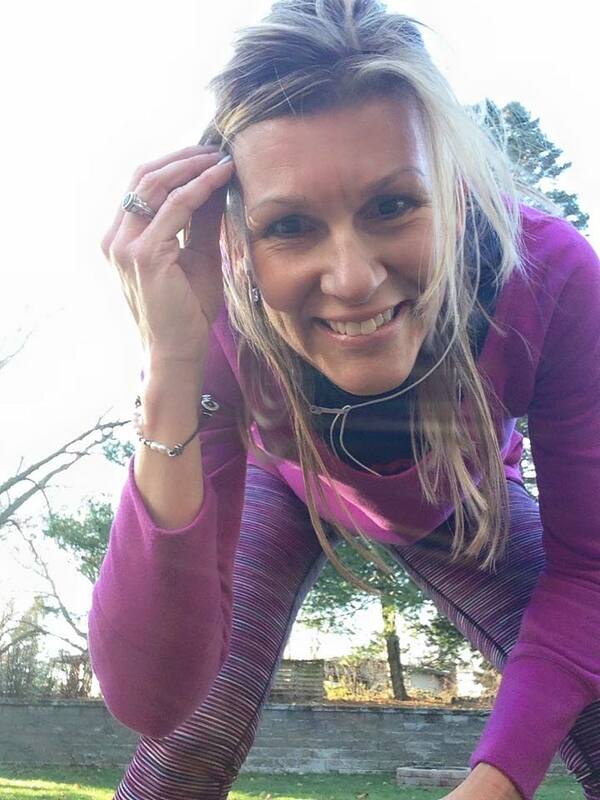 My new endeavor is to share my passion for running with anyone who wishes to follow me. I am a runner. Not super fast, but definitely not slow. Even though I haven't won a race, I have crossed every finish line. And I am always in search of the next start line.